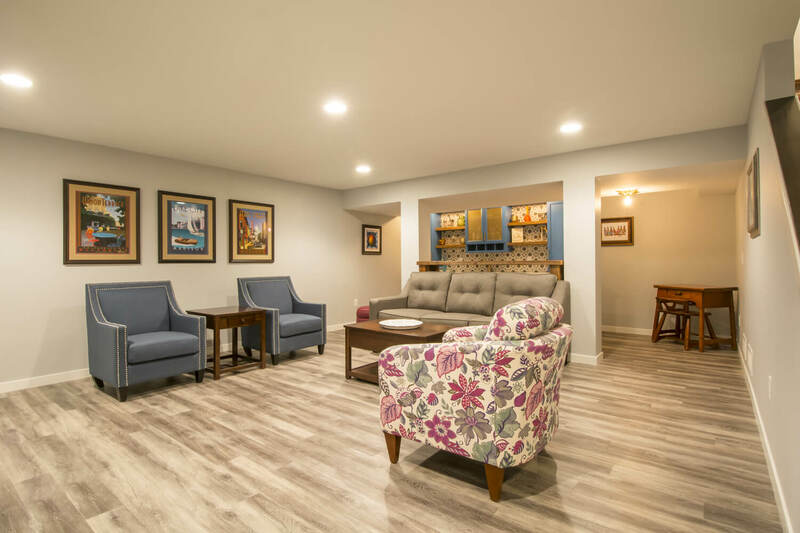 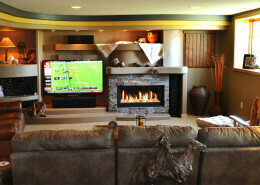 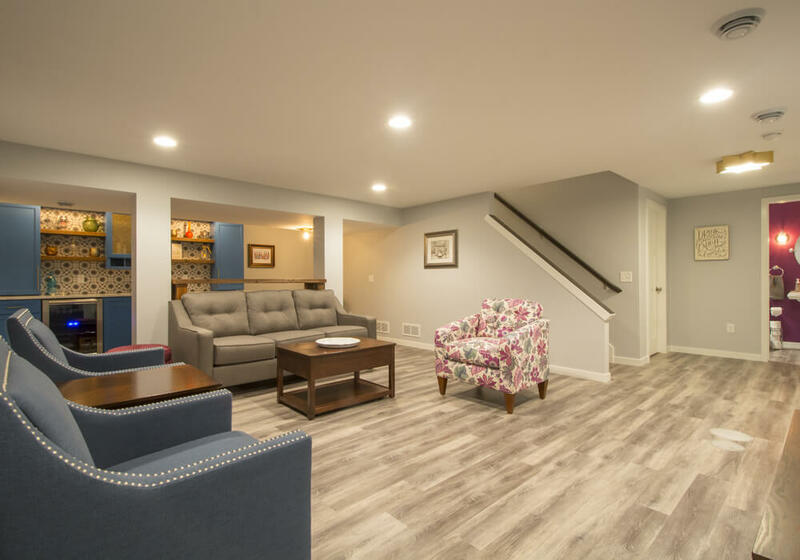 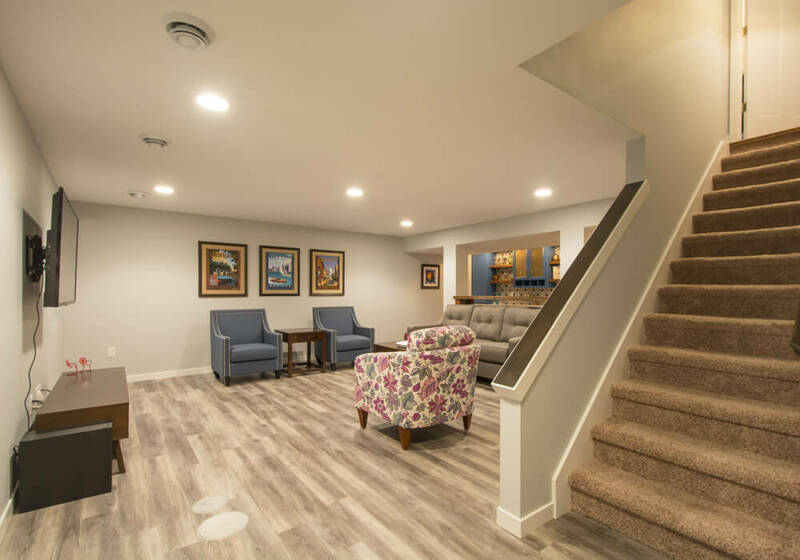 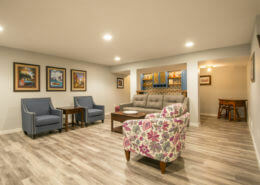 This Pinterest-inspired Madison, Wisconsin basement remodeling project finished out the three bedroom, two story traditional home with a pop of personality. 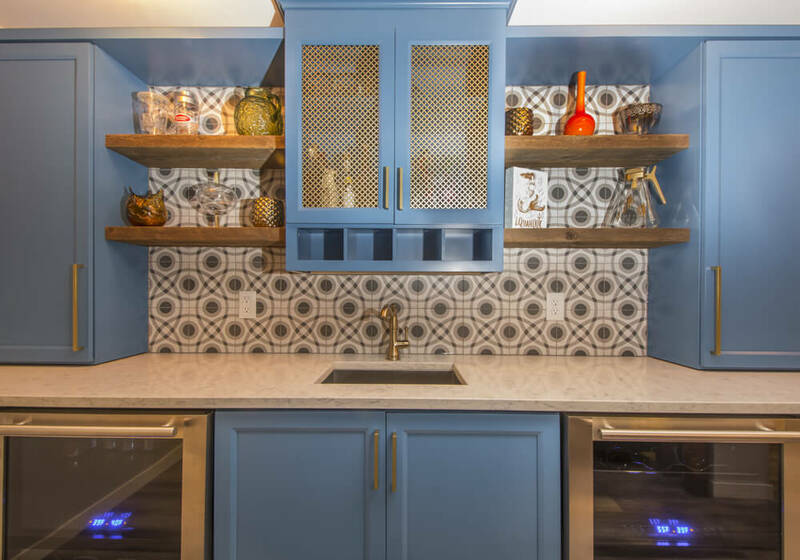 Anchoring the family room is a wet bar kitchen design that marries vintage glam with rustic warmth. 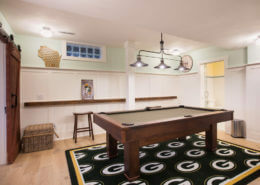 Floating kitchen shelving is made of barn board, as is the bar custom-built to fit between the columns and behind the sofa. 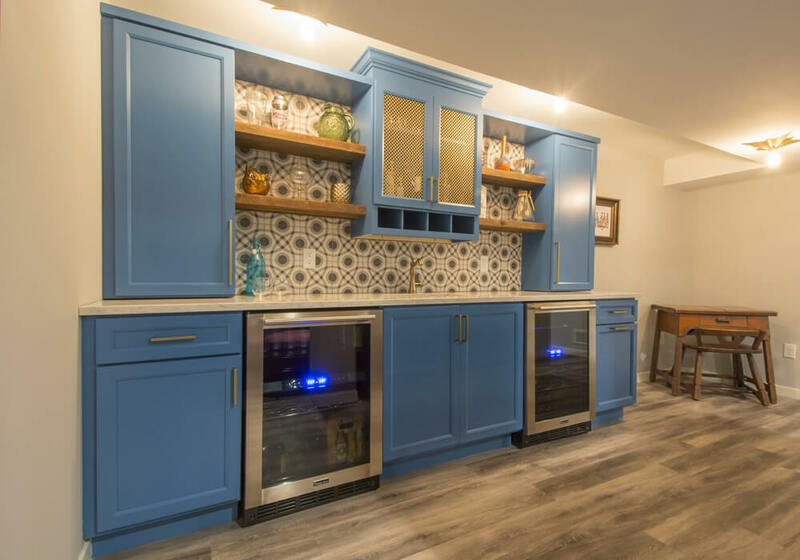 A quartz countertop in Minuet and a Twenties Circle gray ceramic tile backsplash balance the Lincoln Park maple cabinetry finished in Blue Chicago. 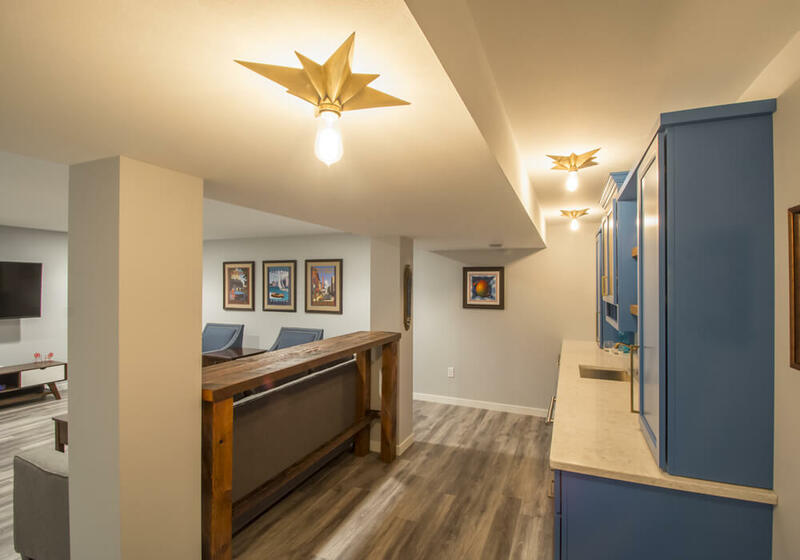 Metal inserts in the cabinetry complement the star-shaped light fixtures above the wet bar and stairway landing. 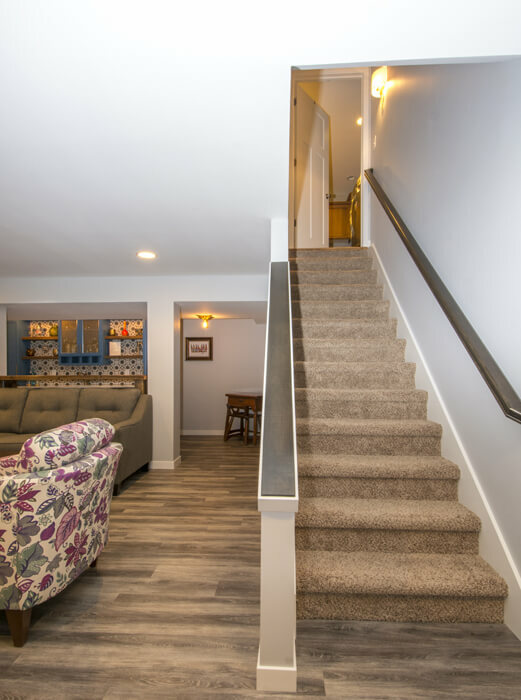 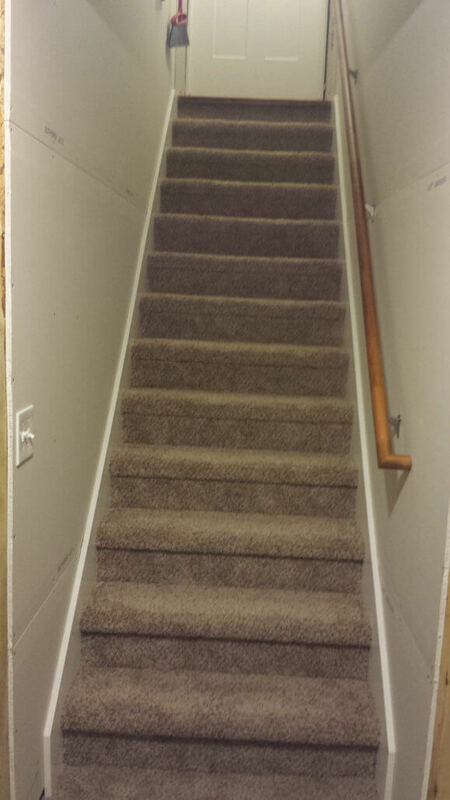 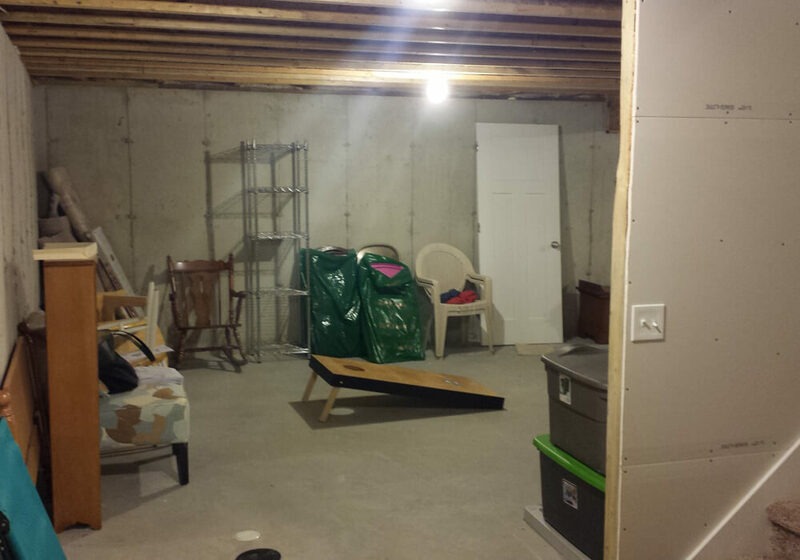 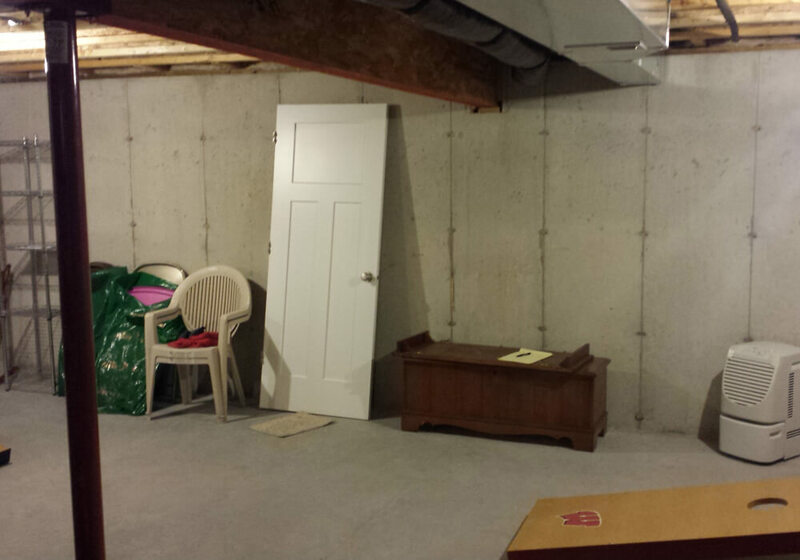 Vive Home Transformations removed a portion of the stairway wall to open into the family room, then finished all but a small portion of the basement, which was left untouched for storage and mechanicals. 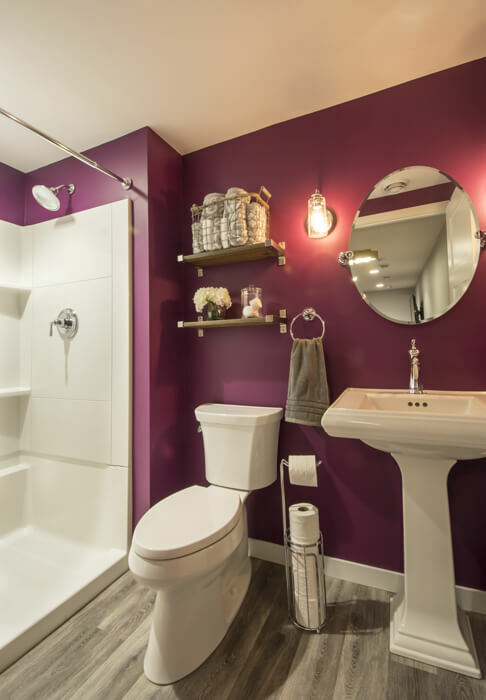 The Madison home remodeler also added a ¾ bath featuring more custom barn board shelves and walls in Burnt Orchid.